Preface: Cervantes' Don Quixote is one of the world's great classics which I've not yet read. Still vivid in my memory is Richard Kiley's Don Quixote in an off-Broadway play Man of La Mancha (1966), and his song "The Impossible Dream" is one of my favorites. When I met my first spiritual mentor Anthony Damiani (1968) and discussed literature with him, he asked me: "Have you read Don Quixote?" When I replied, "No." He said, "Boy! Do you have a treat coming!" I've read tons of books on philosophy and poetry, and scientific papers on protein structures, but somehow I still have not tasted this great dessert Cervantes' Don Quixote. More recently, on reading The Poet and the Diplomat (The correspondence of Dag Hammarskjöld and Alexis Leger) edited by Marie-Noëlle Little (2001), I came across this gem (p. 23): "Dag Hammarskjöld was indeed a 'great humanist' with a strong interest in literature... 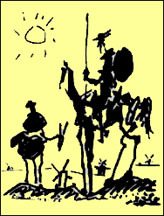 When a journalist once asked him which book he would most like to have if he were stranded on a desert island, he answered: "Cervantes' Don Quixote, and preferably in an old French edition." The editor also footnoted: "This was also Albert Einstein's favorite book." So when I saw a bright yellow flyer "Film & Discussion" with Picasso's drawing Don Quixote announcing the film premiere "Passion and Discipline: Don Quixote's Lesson for Leadership A film by James March and Steven Schecter", my mind was eager to fly. We abandon an essential feature of our humanness. Deborah J. Stipek, Dean of Stanford's School of Education welcomed the audience. When she first approached Prof. March to do a film some years back, March replied "Why should I write something to be embarrassed." But this joint project of Stanford's Business School and School of Education went smoothly and turned out well. She noted Prof. March's many accomplishments in the Business School, and that in addition to this film, he also writes poetry. Professor James March then spoke: "This is an event that shouldn't have happened until I'm dead. If there's any merit in this film, it belongs to Steven Schecter. In this film we ask the question What's the relationship between public & private life, between cleverness & conscience (? ), imagination & intelligence. Look at great literature Shakespeare's Othello, Cervantes' Don Quixote, Tolstoy's War and Peace and try to learn lessons from them. I imposed two rules when accepting this assignment: (1) I have nothing to do with financial matters. (2) If the film is unsuccessful, they have to pay the debts. and a third (3) Don't ask who is the intended audience. This is a rare institution. 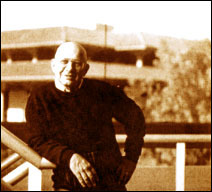 Stanford University sustains our imagination. This film is a valentine for Stanford. Here are my notes sketched in the dark. The film opens with luscious colorful grape leaves in the sunny vineyards of Spain. Then it splices suddenly into black & white videos of President LBJ's speech on abolishing poverty. LBJ's speech somehow gets blurred and some video of Vietnam War flashed by. Similar shots appeared showing Defense Secretary Robert McNamara fidgeting his answers related to the Vietnam War and Bill Gates's speech about his vision for Microsoft and testifying before Congress on Microsoft's monopoly lawsuit by the Justice Department. The dichotomy of these comparative videos and sound bites were striking. Our heads of state and heads of corporations have visions of greatness, whether they are the Great Society or the great software company, but get derailed by hubris of power. Then, there was a scene of Dennis Green, head coach of Minnesota Vikings, inspiring his football team in the NFL. This film is about who you are, about Don Quixote. Quixote was a man who had neither success or glory, but he knows who he is. This is an allegory between idealism and madness. Then the camera pans across a giant tapestry of Don Quixote in the room of the French Ministry. Here the leaders of the French government ponder issues of international importance under the watchful eyes of Don Quixote the Man from La Mancha. Don Quixote teaches us that life is to be challenged. Quixote doesn't accept reality. He produces a world of beauty and meaning. Think of a Flamenco dancer, passionate and yet full of precise discipline. [thus the film's title: "Passion & Discipline"]. (1) Why fight when success is not assumed? (2) Why be virtuous when virtue is not rewarded? How do we use vision and imagination? How do we sustain commitment? Seeds grow to gigantic trees. taking the kids for a joy-ride space spin. Lesson: Believe and your dreams will come true! "Your dream is all you can become." "No decision is logical. All dreams are embraced." Don Quixote refuses to accept the constraints of reality. If you see no angels, it's because you harbor none in you. Carlos Fuentes says: "Don Quixote's vision of his love is the greatest in literature." Cory Booker, City Councilman, Newark, New Jersey. Cory introduced innovative ideas that brought safety and stability to his community. In the summer of 1999, killings were rampant in a drug-infested area in Newark. The residents in the apartments were scared to come out. The police stayed away. and is sorely beaten by adversaries who scoff at his madness. Lesson: Dulcinea's beauty is not one of evidence but one of attitude. Commitment: That's where meaning comes from. Don Quixote: "I know who I am. Knight I am, and Knight I'll die." appeared on TV to dissipate the coup and appealed for democratic rule. against the drug dealers to clean up his community? endowment of any West Virginia public college all through joyful innovation. Interview: Anne Kreiner (? ), Denmark CEO: "I talk loud and laugh a lot. It breaks up tensions in the boardroom, and we get things done. Lesson: Joy: sense of humor, laugh at your failures. at the edge of insanity. In one scene she throws all his belongings out of the window. Lessons: Joy of engagement & joy in identity. the downturn, he spent $15 million keeping his company afloat. finally I meditated for help and an angel came to me." Sold his hi-tech company and got rid of his stress. "I'm now an environmentalist, changed my life-style"
Lessons: There's joy in beauty. Innovation deviates from conventional identity. Q: Could you say something about the collaboration in making this film? SS: My concern was the story-telling. Jim had his line of argument to proceed precisely. We went back and forth between these emphasis. Q: Who is the intended audience? And how will you distribute the film? JM: Steve and me. How do you make life meaningful? and business people. We want a broad educational distribution. You may see it on local PBS station or cable-TV. Q: What's the difference between a leader and a lunatic? Is it that a lunatic will ignore consequences? BK: Leaders have followers, but lunatics have followers too. Joan of Arc was a genius instead of a heretic. JM: You can't tell the difference until after the fact. Q: How did you get involved in Don Quixote? JM: I first read Don Quixote in a Spanish class. It took possession of me gradually as I taught business students. Red and Black, Tolstoy's War & Peace and Anna Karena. Q: What made you do a film? JM: I resisted doing a film. Steve has ideas ow to make things visual. [West Virginia] I'm a living experience of Jim's ideas. BK: There are lots of interesting studies on the left & right side of the brain. Is reality fantasy? There's no such thing as reality. Our fantasy creates reality. JM: Bob is the first post-modern hydraulic engineer! Q: I'm struck by the agency of inner vision. Could you elaborate on this? JM: This film has to be placed in a context. We have to push, to be more willful. this society needs more Quixote vision. JB: Bob's metaphor of the sandbox is useful. Find ways to empower us to dream. I don't think our dreams are as important as others whom we serve. Q: Isn't leadership too individualistic instead of the group? JM: You're quite right that we emphasized individuals instead of relationships and teamwork. Be a good knight errant, a good citizen, a good policeman. Be a man! 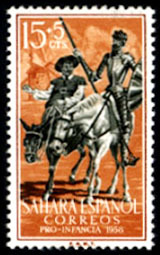 Quixote will investigate the nature of man, his social identity. BK: Schools can't train passion, purpose. If you have a big ego, you'll fall eventually. the struggle it involves. One needs to throw oneself in a situation "technology of foolishness"
JM: Why do we allow a drunk to do things when we don't allow it when he is sober? SS: I've been taking pictures since I was nine, and I'm still exploring. himself not at the mountaintop but below in the marketplace so as to serve his people better. illuminating the real life cases showed that Quixotic actions solved complex problems. to taste, I feel that he's earned his trophy in making this film and sharing his wisdom with us. Now the audience spills out into the lobby where lots of drinks and food are served. my name. I enjoyed the interview of him in the film and ask him more about his company. screw-in hydraulic cartridge valves gadget that is more expensive that anything on the market. But Koski's idea is that clients will buy it because it's beautiful and functional too. about competition." When I mention about the Stephen Wolfram lecture "A New Kind of Science" which I heard two days earlier, Koski says he just read that 1000-page book. We then exchanged stories about creative genius and cosmic consciousness I told him about Dante and Balzac, while he recounted stories about Brahms and Rachmaninoff. He said Brahms was only known for his Lullaby before blossoming into a great composer. I thought he was inspired living with Robert and Clara Schumann, and was very much in love with Clara. Koski said that Rachmaninoff was having writer's block and went to a hypnotist for consultation. After several months of hypnosis, he wrote his 2nd Piano Concerto that played successfully in London. I thanked him for these stories and we exchanged email addresses. Prof. March came by to bring his friend Koski and his wife home. I told Jim March how much I enjoyed his film, and ask for the titles of his poetry books so I could find them in the Stanford Library. "They don't have my poems," he assures me, "they have all my business and management books, but I keep my poetry private." However, when I tell him of my interest in poetry, he tells me his email address and says he'll send me some of his poems. What a day! seeing a Don Quixote film, learning lessons on life, enjoying good food, and meeting the filmmaker and a CEO who are leaders of learning.